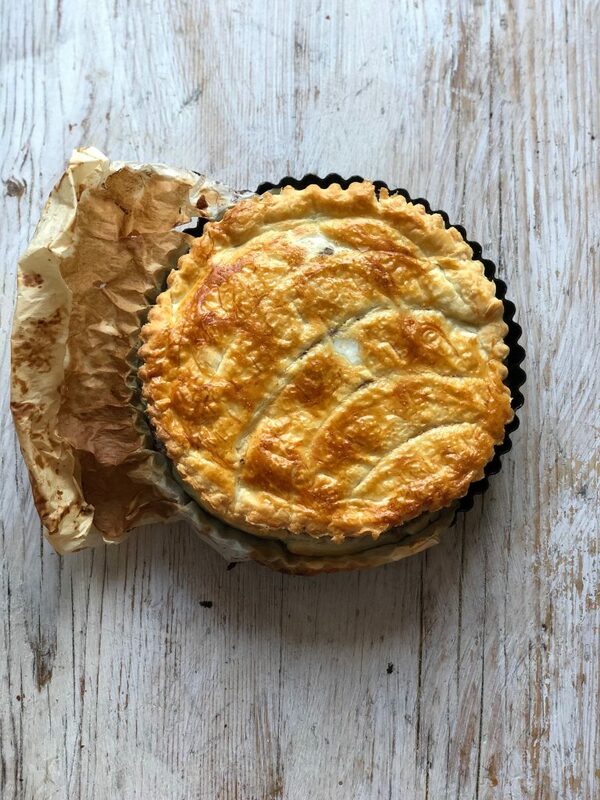 Every January in France, patisseries and bakers sell galette des rois, an elegant almond-filled puff-pastry pie, which contains a charm or ‘fève’ (bean) and comes with a golden crown. If you are lucky enough to get the figurine in your slice, you get to wear the crown. The Feast of Epiphany, the arrival of the magi (magicians/ astrologers/shaman/wise men/kings? ), is traditionally celebrated on the 6th of January but when I lived in Paris, whenever you popped over to visit someone, throughout the month of January, you took a galette. Down in the south of France, they also sell a candied fruit King Cake, similar to the New Orleans King Cake, but slightly less gaudy. The best galette de roi I’ve ever eaten is at the Connaught in London, created by Helene Darroze’s head patissier. It was light, flaky, buttery, and the frangipane was flavoured with lemon and tonka bean. Tonka bean is a bit like cocoa while possessing the bitter allure of almond. It’s a very interesting ingredient but, bizarrely, banned in the USA. 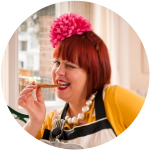 I’ve made three galettes: bergamot flavoured, tonka bean and chocolate flavoured, and one with pistachio paste rather than almond paste. The recipe doesn’t take long to make, especially if you are using ready-made puff pastry on a roll. 2 bergamot citrus, zested, You can use the juice for another recipe. Blend the butter with the sugar then add the almonds. Make sure it’s well mixed. Add in the 2 eggs one at a time, then add the bergamot zest. You can make your own puff pastry. I used the easy option: buying 2 rolls of ready-made all butter puff pastry on a roll. 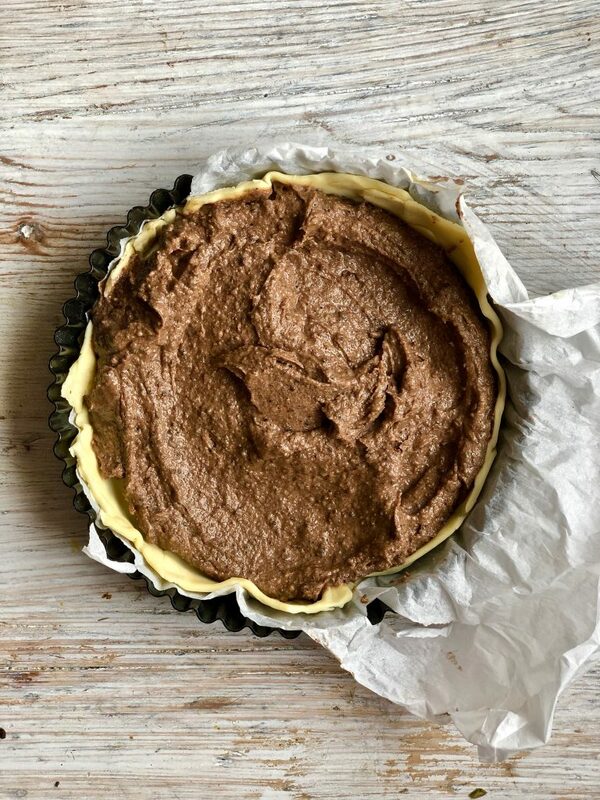 Divide the puff pastry into two if using a block and roll out to 5mm depth on a lightly floured surface and make two circles about 15 cm’s each in diameter. If using pastry on a roll then place a plate on top which fits inside the parameters of the roll, and cut around. Make two circles. (Use the off cuts to make vegan sausage rolls, recipe coming soon). 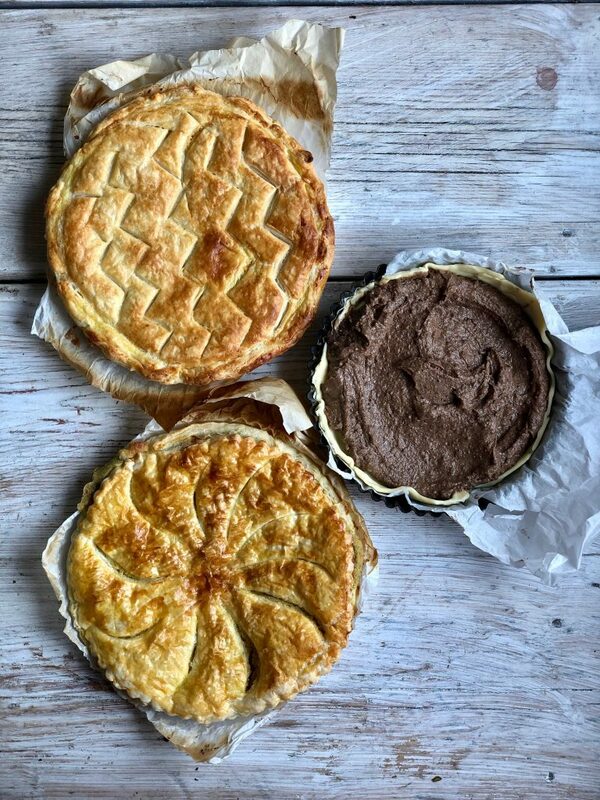 You can make the galette flat as below or use a tart tin. Lay one circle on a silicone mat on a baking tray and fill with the almond cream leaving a 3 cm border around the edge. Place the figurine or bean in the almond paste (if using). Bake at 200C/400F until golden brown. You can serve warm or cold. Blend the butter with the sugar then add the pistachios. Make sure it’s well mixed. Add in the 2 eggs one at a time, then add the vanilla extract. 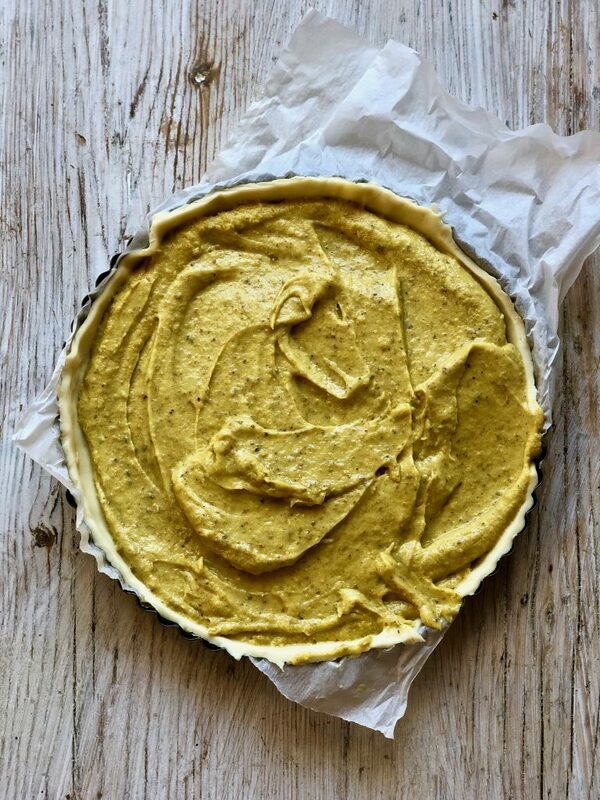 Lay one circle on a silicone mat on a baking tray and fill with the pistachio cream leaving a 3 cm border around the edge. Place the figurine or bean in the almond paste (if using). Blend the butter with the sugar then add the almonds and cocoa/chocolate powder. Make sure it’s well mixed. Add in the 2 eggs one at a time, then add the tonka bean. If using a block: divide the puff pastry into two and roll out to 5mm thick. Make two circles about 15 cm’s each in diameter. Lay one circle on a silicone mat/parchment paper on a baking tray and fill with the almond cream leaving a 3 cm border around the edge. Paint the border with the egg yolk.Then lay the other circle on top, sealing the edges with a fork. You could then carve designs into the top, taking care not to pierce the pastry. Make a little slit in the middle to let steam escape then brush the top with the egg yolk. If using the ready made rolls, unfurl them. Place a plate on top and cut out two circles. 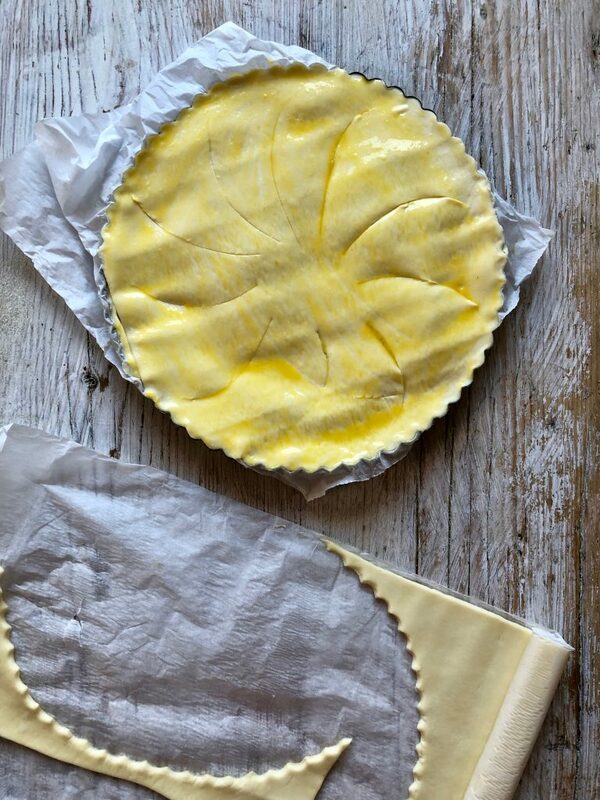 You can use a tart tin or place them flat on parchment paper. To differentiate the galettes, I carved different shapes in the pastry on top. Bake in the oven at 200C/400F until golden brown. You can serve warm or cold.